Major Littleton W. T. Waller: “How young?” Smith: “Ten years and up.” --Exchange on October 1901, quote from the testimony at Smith's court martial by the New York Evening Journal (May 5, 1902). 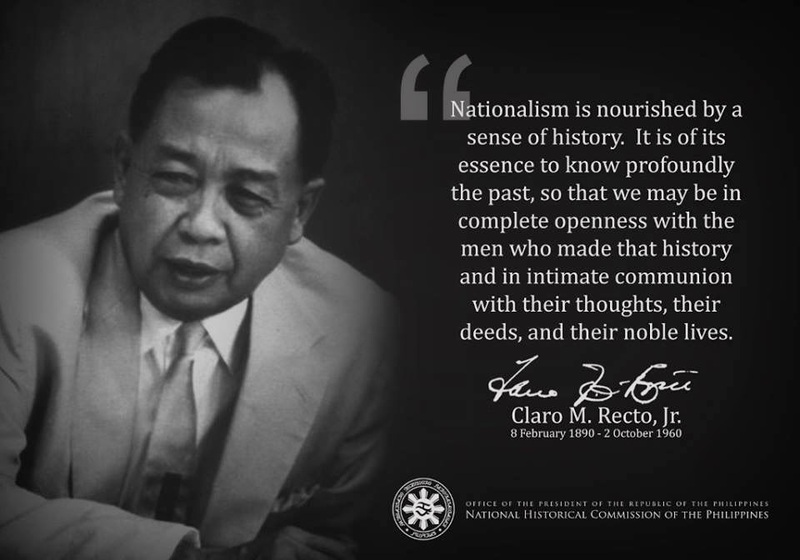 The restudy of Philippine-American History by us native Filipinos should aptly begin with the unknown and underlying rationalization and/or justification by Social Darwinism; the ignored and glossed over shift to expansionism -a euphemism for imperialism - by the formerly anti-colonialist, anti-imperialist and isolationist America. Most especially its dominant racist mindset for both market- and military-driven expansions explained away by the so-called Manifest Destiny towards the Pacific Rim during the later decades of the 19th century. Note that decades before, America declared and warned the Europeans, through its Monroe Doctrine, that the western hemisphere -all the Americas- was its sole domain, its own "backyard." The gradual shift at the turn of the 20th century from American isolationism to American imperialism, joining the exclusive imperialist club of England, France, Spain,etc. as the new global bully in the block, was again demonstrated with the arrival of American armed forces in the Philippine islands, the latter's political trickery towards the Katipuneros. The native Filipinos who had (and have to this day) naïve sentimentality thus faith in the American revolutionary heritage led to their failure to perceive the fading of so-called heritage and the rising new American reality. The new American reality of imperialism, the ordinary American does not recognize/realize it due to his equal ignorance of hidden/glossed-over history, imposed its subsequent brutal war against the Filipino natives, and with the subtle Americanization (cultural imperialism) of the Filipino natives -- mainly through public education -- a new, more efficient and effective method, i.e. cheaper and not requiring American occupation troops in foreign soil (with native military substitutes beholden to the American military) and long-lasting way of re-colonization, i.e. from direct colonialism to indirect colonialism or neocolonialism aka neoliberalism aka globalism, that very strongly persists up to the present and expectedly foreseeable future. As a footnote, George Bush in his brief visit and speech to the Philippine Congress in 2003 spoke of our homeland Philippines as a model for Iraq. Thus America today pursues Iraqi occupation by American troops, now trapped in a quagmire as in Vietnam, after its brief but amoral intervention and invasion, and with his self-congratulatory American exceptionalism trying to impose its self-righteous belief that it has the best way for all civilizations and societies; a preemptive strike for regime change from Saddam Hussein to more malleable Iraqi rulers, an excuse for its ultimate goal of controlling Iraqi Oil, the second largest proven oil reserve in the world (second to Saudi Arabia). During the 2003 invasion, it is worth remembering that one of the very first places that the US troops took over was the Iraqi Oil Ministry, which was then ransacked and its documents hoarded. "The Phillipines makes a decent representative example of the US' first official exercise in colonial imperialism and formal empire [*], also referred to as "civilizational imperialism" - a project we're presently repeating. Lest this seem to be the bellicose pipedream of some dyspeptic desk soldier, let us remember that the military deal of our country has never been defensive warfare. Since the Revolution, only the United Kingdom has beaten our record for square miles of territory acquired by military conquest. Our exploits against the American Indian, against the Filipinos, the Mexicans, and against Spain are on a par with the campaigns of Genghis Khan, the Japanese in Manchuria and the African attack of Mussolini. No country has ever declared war on us before we first obliged them with that gesture. Our whole history shows we have never fought a defensive war. And at the rate our armed forces are being implemented at present, the odds are against our fighting one in the near future." Historian Paul A. Kramer's new book describes a war waged by American soldiers in a distant country. Promoting its troops as liberators, not occupiers, the U.S. assumed control of the capital city, then fought to assert its authority over the countryside. American troops quickly decimated the opposing army, then found themselves confronted by an insurrection that used guerrilla tactics to fight on for years. U.S. soldiers committed atrocities and tortured prisoners. American authorities tried to tightly control news reports, but soldiers' letters describing torture and other abuses found their way into U.S. newspapers, fanning significant American domestic opposition to the conflict. The war caused widespread civilian casualties, and more than once was declared over, despite the continuation of fighting. Actually, the war Kramer describes is not the one in Iraq. It was fought in the Philippines from 1899 to 1902 (with sporadic fighting as late as 1913). It is the subject of his new book, The Blood of Government: Race, Empire, the United States, and the Philippines (University of North Carolina Press, 2006). "It's a forgotten war. It's actually a hidden war. There was an active process of suppressing this war from American memory, especially by labeling it as an 'insurrection' or an 'insurgency' against legitimate U.S. authority," says Kramer, a Johns Hopkins associate professor of history. In December 1898, the United States formally ended the Spanish-Cuban-American War by signing the Treaty of Paris, 1898 (Updated), which included the purchase of the Philippines from Spain. Under the leadership of Emilio Aguinaldo, the Philippines already had declared itself an independent nation, but the United States disregarded that, intending to govern the country as a colony. Fighting broke out in February 1899, and in three years cost the lives of approximately 4,200 Americans, 16,000 Filipino combatants, and by conservative estimates at least 250,000 Filipino civilians. Kramer says that the United States was motivated in part by commerce. The country had just emerged from its worst economic depression to date, and American businessmen were convinced that the only way to avoid another such experience was to force the opening of overseas markets, especially in China. The way to do that, they believed, was by the intimidating projection of military force, which would require naval bases and coaling stations in places like the Philippines. There was another consideration, as well, says Kramer: "By the turn of the century, colonies had become part of what defined a modern nation-state. They were enormous sources of national prestige. And they were what defined you as European, and as white — you can conquer non-white subjects." In soldiers' letters and journals, Kramer traces the racializing of the war. For a brief period, Filipino elites tried to cultivate favorable relationships with American troops and administrators. During this time of fraternization, Americans spoke favorably of Filipino culture and manners. But once warfare began, U.S. soldiers began referring to Filipinos as "black devils," "niggers," and "gugus," forerunner of the epithet "gooks." In 1900, Republican senator Albert Beveridge of Indiana couched the war in terms of the wider cause of "English-speaking and Teutonic peoples" to become "the master organizers of the world." Kramer's cause, in large part, was to limn these racial aspects of the war and the 45-year occupation that followed, plus counter earlier historians' sanitizing of American imperial aspirations. "There was an attempt to minimize this war, because it was so ugly and brutal and seemed to many to run against the United States' stated ideals of supporting self-government," he says. In previous historical accounts, the war was not American conquest, it was "expansion," a sort of natural process. Says Kramer, "In 'expansion,' there are no power relations, no victims, no violence. 'Expansion' is a neutral descriptive term." Historian Paul Kramer, in his new book The Blood of Government: Race, Empire, the United States and the Philippines (University of North Carolina Press), details the longforgotten history of the Philippine-American War and the 40-year occupation that followed. 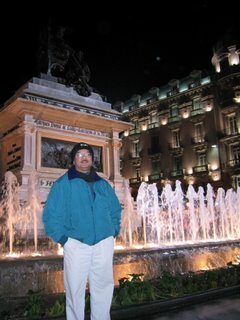 He argues that the Philippine adventure in many ways "rhymes" with the current U.S. occupations of Iraq and Afghanistan. Among the "eerier similarities," said Kramer, professor of history in the Krieger School of Arts and Sciences at Johns Hopkins: A conventional invasion and speedy victory followed by an unexpected, protracted non-conventional insurgency. Violations of human rights norms by the occupying Americans. Repeated claims that the war was justified by and fought on behalf of higher principles of "civilization" or "freedom." Declarations that the war was over in hopes of ending domestic controversy about it. The sense that it was America's right, duty and obligation to engage in nationbuilding and installing "democracy," of which the United States was considered an unblemished example. Kramer describes in The Blood of Government, to be published April 17, how the Philippine-American War began in the unsettled aftermath of the Spanish-American War, the 1898 conflict that Secretary of State John Hay dubbed "a splendid little war." Having declared war against Spain, the United States sent Commodore George Dewey to the Philippines, Spain's largest Asian colony. Dewey's Pacific Squadron quickly defeated Spanish naval forces at Manila Bay, but the question remained, Kramer said, how U.S. forces should engage with a Philippine revolutionary movement that broke from Spain in June 1898 and declared the first republic in Asia. U.S. forces attempted to make use of Filipino revolutionaries—who were defeating Spanish land forces in the islands—without recognizing their government. Filipinos, they assumed, would greet U.S. forces as "liberators." When Spain surrendered, Filipino diplomats were not invited to treaty negotiations. U.S. negotiators pressed Spain to relinquish "sovereignty" over the Philippines—an archipelago Spain no longer controlled—for $20 million. In February 1899, U.S. forces outside Manila fired on soldiers of the declared Philippine Republic, and the Philippine-American War began. It would in no sense be either "splendid" or "little," Kramer said. It lasted more than three years, in some places as long as 10. It involved 126,000 U.S. troops and resulted in nearly 5,000 U.S. casualties, an estimated 12,000 Filipino military casualties and the death by violence, dislocation and disease of an estimated 250,000 Filipino civilians. It began as a conventional struggle, but facing early defeats, Filipino leader Emilio Aguinaldo opted for guerrilla tactics in November 1899. U.S. generals, watching enemy forces apparently dissolve, made declarations equivalent to "mission accomplished" and an "end to major combat operations." But as U.S. forces occupied rural towns, they found themselves persistently attacked by guerrilla fighters supported by local peasants. Increasingly, U.S. soldiers would see the entire population as the enemy, expressing their hatred using racial terminology like "goo-goo" (which later evolved into the Vietnam-era "gook"). They would also use increasingly harsh tactics, including the burning of whole villages and the torture of prisoners using what was called the Water Cure (the antecedent to today's "water-boarding"). Despite military censorship, word of U.S. atrocities traveled back home and was spread by anti-war activists organized into an Anti-Imperialist League, Kramer said. The anti-imperialists (among them Twain, industrialist Andrew Carnegie and labor leader Samuel Gompers) declared the U.S. invasion immoral in both its objectives and its tactics. They made the war a central issue of the 1900 presidential race between William Jennings Bryan and incumbent William McKinley, who defended it as a war for "civilization" and "freedom." Anti-war activism resulted in a Senate investigation and some courtsmartial, although few were punished for war crimes. In defending itself against critics, the administration claimed that Filipinos were not fighting a "civilized" war and were, therefore, not owed the rights of prisoners of war; instead, they were "war rebels" whom U.S. forces could treat however they pleased. Kramer's 538-page book deals both with the invasion and the occupation, telling of the first-ever attempt by U.S. forces to engage in overseas "nation-building" in collaboration with a local elite, even in the midst of ongoing violence. "I did most of the research long before 9/11 or the U.S. invasion of Iraq," Kramer said, "and in many ways I was overtaken by the eruption of a new, aggressive imperial moment just as I was completing my manuscript on an eerily similar one just over a century ago." "The challenge," he said, "has been to remain true to the idiosyncrasy and integrity of the past while trying to comment subtly and critically on the present: to allow the past and present to touch without subordinating my account of the earlier U. S. invasion to the questions being asked of the present conflict." Can you please indicate where we can find the book and how much? Thank you. It's available from Borders, Barnes & Nobles, Amazon, etc and the University of Carolina Press; @$26.00, if I remember right. Thanks for the interest. And please pass along the info to your interested friends/relatives. Thank you for the interesting articles. Much appreciated. Kindly pass to friends and relatives who may be interested too. Thanks. The most anti-Filipino administration in the history of our country is the coming to power of the People's Power government. They have betrayed the Filipino people by opening our country to free trade, reversing the more than 50 years of nationalist management of our economy starting with Pres. Quezon and ending with Pres. Marcos. The People's Power government is not a popularly elected government. GMA managed to get herself elected through massive cheating of the elections.